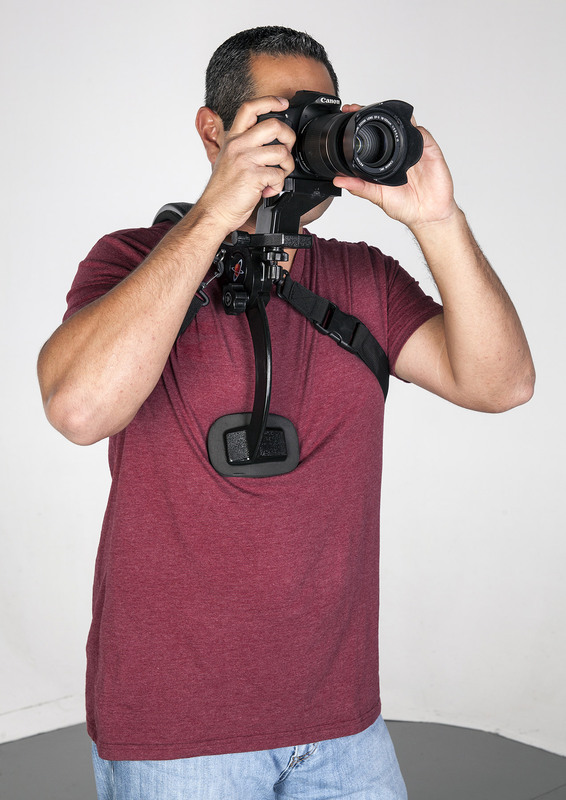 The Digital Juice Shoulder Mount Stabilizer is a camera support worn over the shoulder and featuring 2-point stabilization through the back and chest. 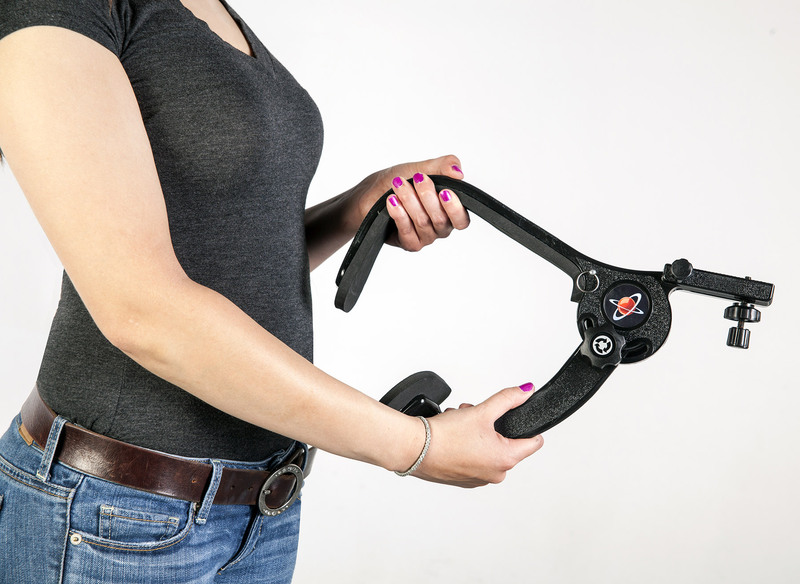 The lightweight unit weighs less than 2 lbs, making it very easy to use, hold and carry in your production kit. 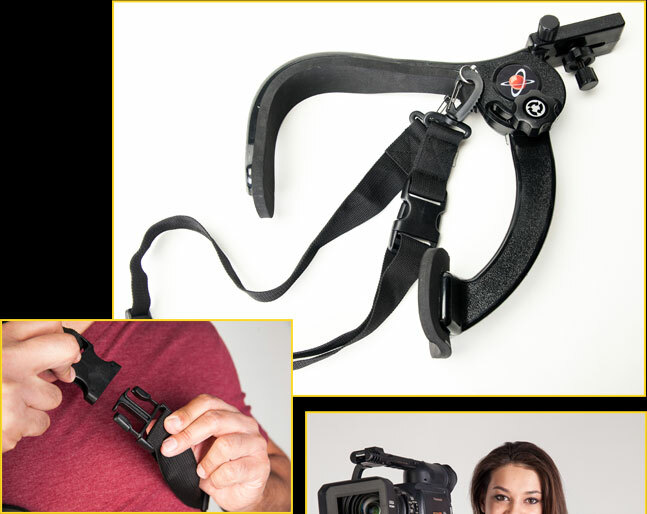 This is an invaluable tool when working on location in large crowds, or when the camera has to be in constant motion, preventing your handheld camera from falling, while still providing a lightweight stable foundation for your shots. 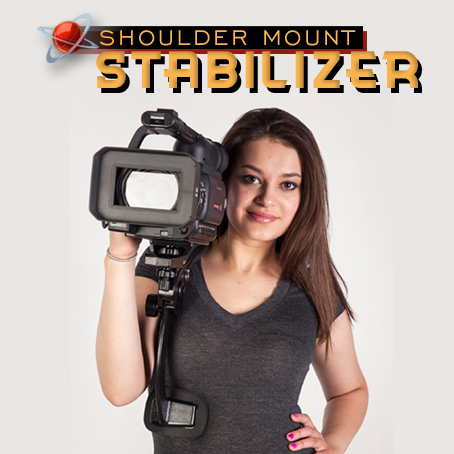 No matter where you are shooting, you will get smoother looking video and reduce your muscle fatigue when using this stabilizer. 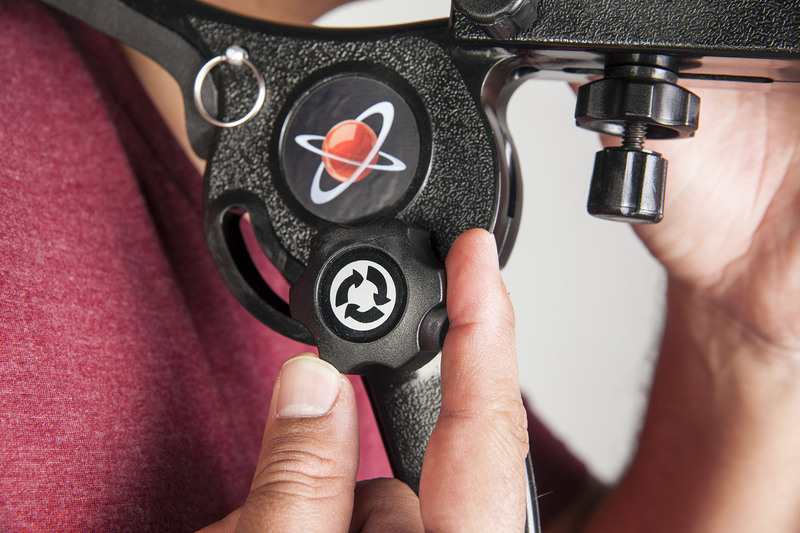 This lightweight stabilizer has a spring-loaded, locking pivot point with high density foam-lined shoulder and chest pads for an easily adjustable and comfortable fit on the body. 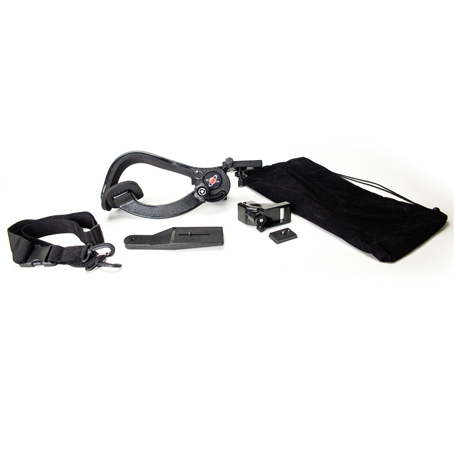 The unit distributes the weight of the gear mounted to it onto the back and chest, relieving stress on the shoulders and arms and leaving the hands free to work controls. 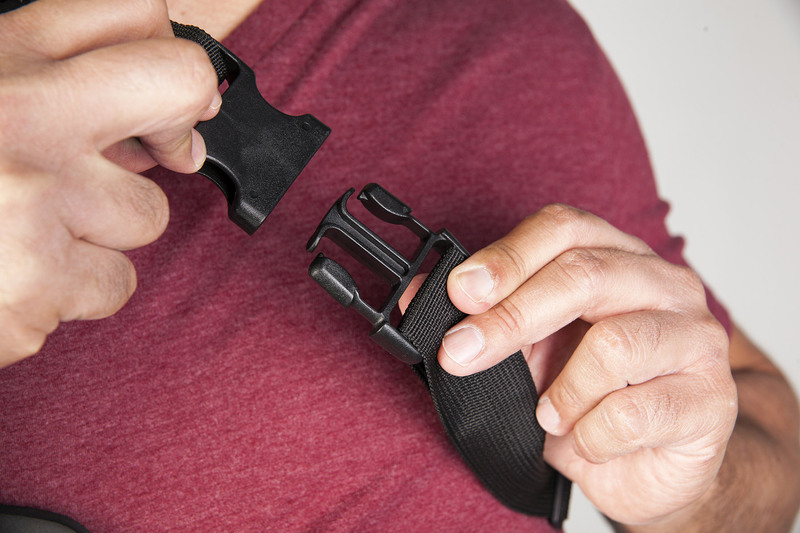 A 1.5" securing strap is provided to clip onto the unit and across the body for further safety and stability when in use. 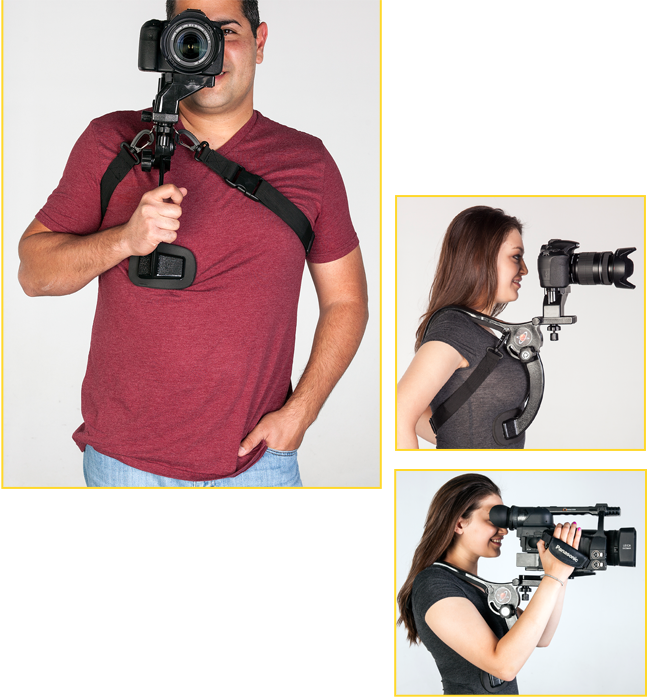 Besides the standard camera mount plate on the unit, the package also includes 2 adjustable accessory base plates so that a wide variety of camera sizes can be accomodated. 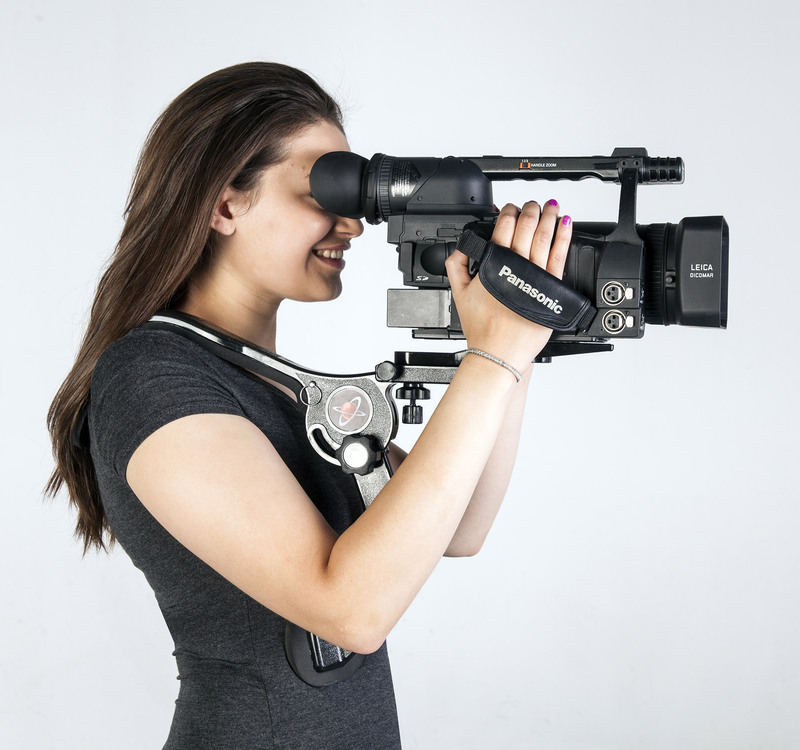 The larger plate extends from the unit with a rectangular rubber-padded base, while the smaller plate attaches to the larger and has a rubber-padded quick release base on top of a riser which raises the position of the camera by 2.5". 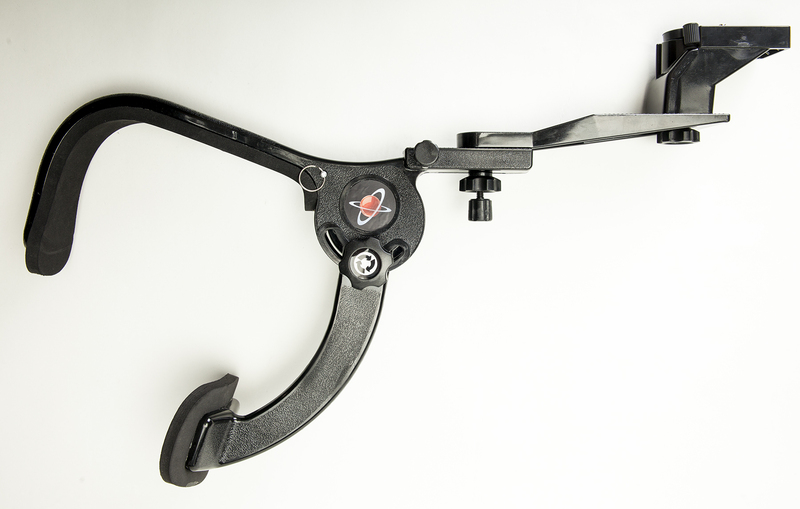 Both accessory plates can be adjusted back and forth or angled into the optimal position via easy-grip sliding lock-down screw knobs. 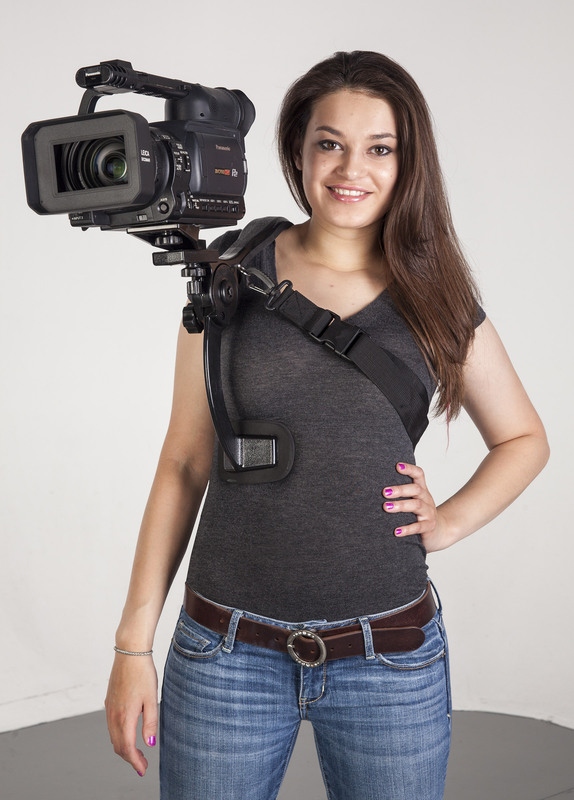 The stabilizer's high density foam shoulder, back and chest pads provide a comfortable lightweight fit while the provided securing strap gives you extra security and stability when carrying expensive camera equipment. The lightweight ABS construction is sturdy enough to support up to 10 pounds of camera and gear, while adding less than 2 pounds to your load. 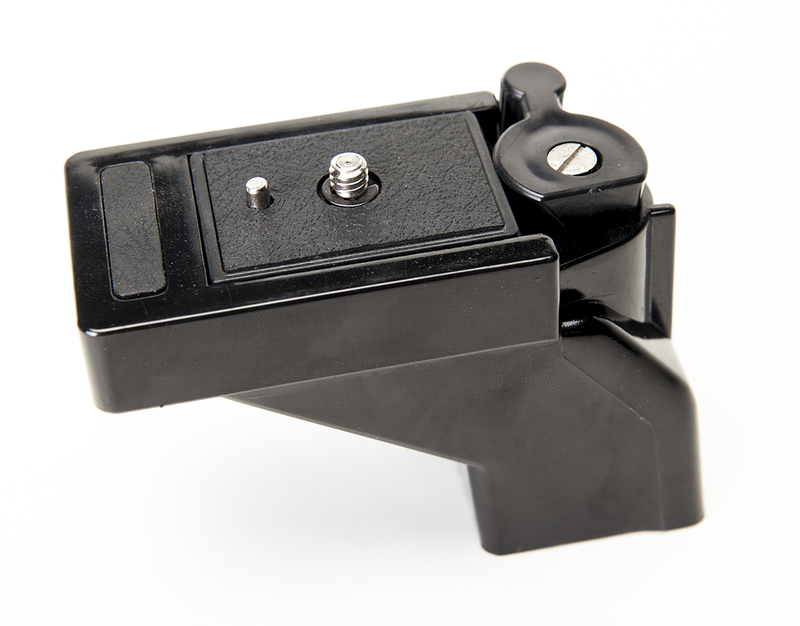 The adjustable spring loaded pivot point allows the unit to easily adapt to just about any body shape to keep unit and camera firmly in place. 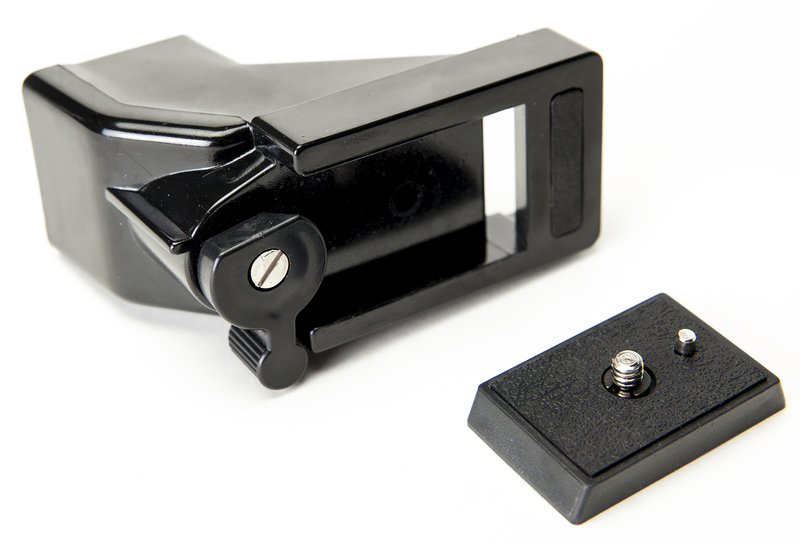 Large and small camera mount extension base plates allow a wide variety of camera shapes and sizes to be accommodated and adjusted so that eyepiece and viewscreen are positioned correctly. 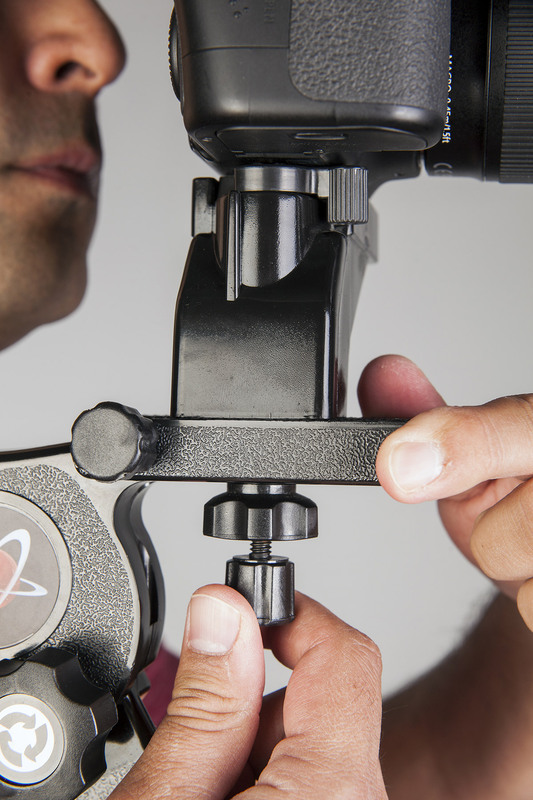 The smaller plate attaches to the larger and has a rubber-padded quick release base on top of a riser which raises the position of the camera by 2.5". 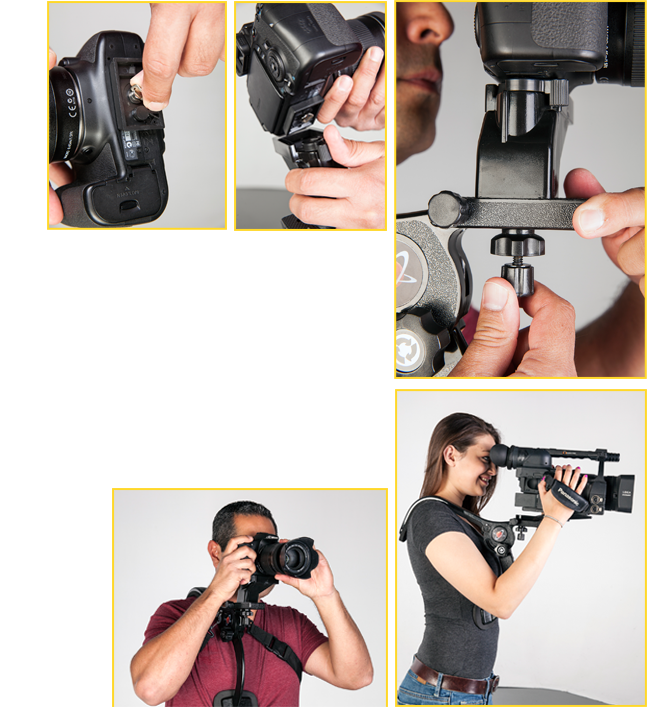 The unit's industry-standard ¼-20 mounts will accept a wide variety of cameras and accessories. 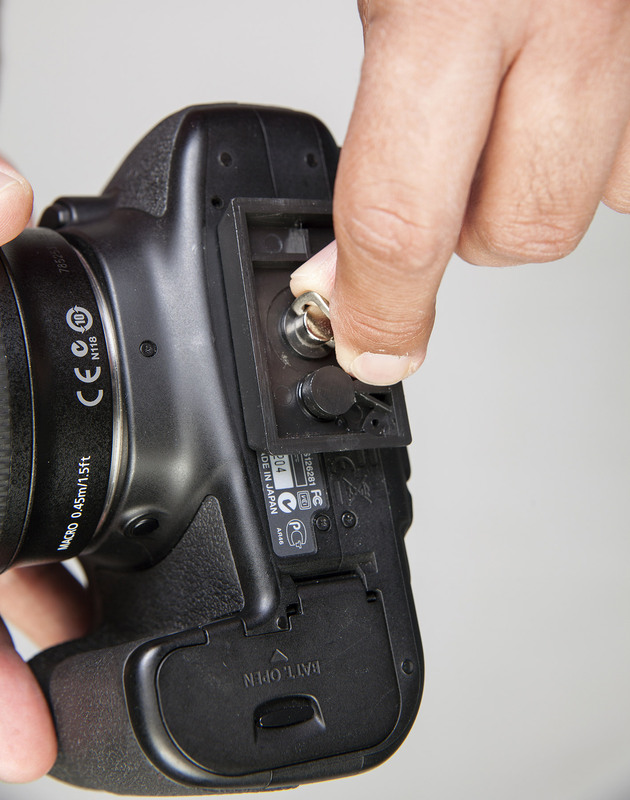 The small mounting plate accessory includes a quick release plate for quick and easy camera placement and removal, while both accessory plates can be adjusted back and forth or angled into the optimal position via easy-grip sliding lock-down screw knobs. 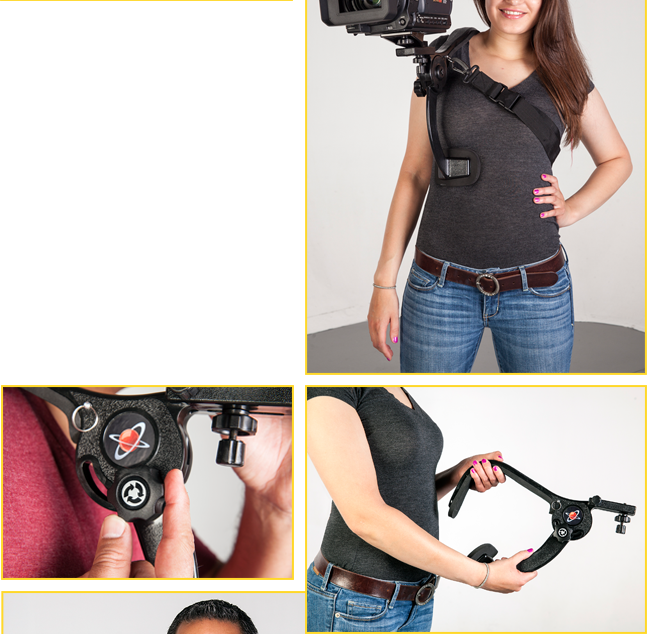 Two-point stabilization on chest and back distributes weight across the body, relieving stress on shoulders and arms and allowing hands-free support, leaving hands free for operating camera controls. A soft, drawstring carry bag is provided to keep the unit and its parts clean and safe while on the go. 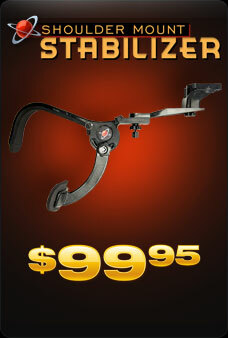 What features differentiate the DJ Shoulder Mount Stabilizer from its competition? 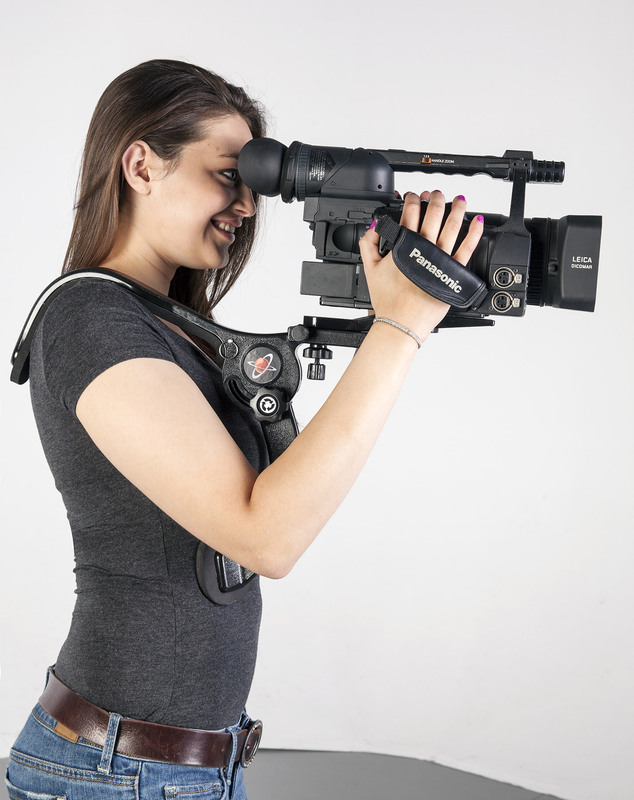 With our shoulder mount, the weight is taken off the top of the shoulder and distributed to the chest in front and below the shoulder in back. 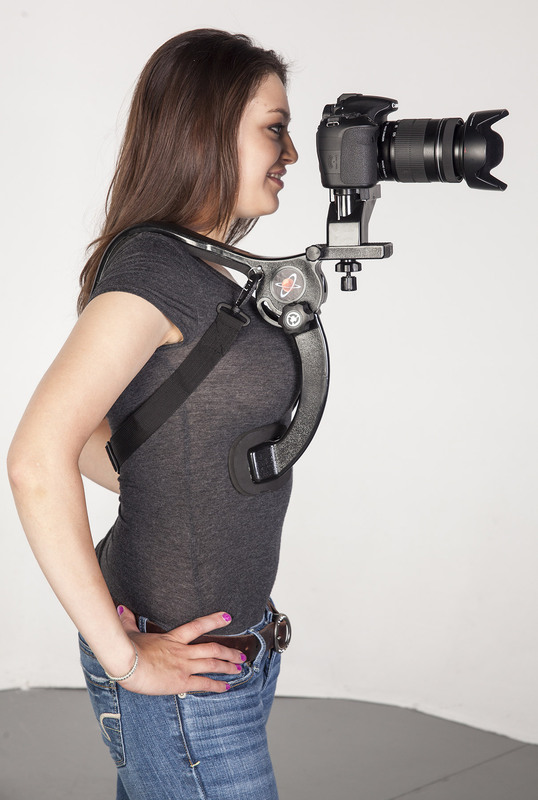 Unlike supports that only sit on the top of the shoulder, this unit effectively rests all the weight of the camera on your body. 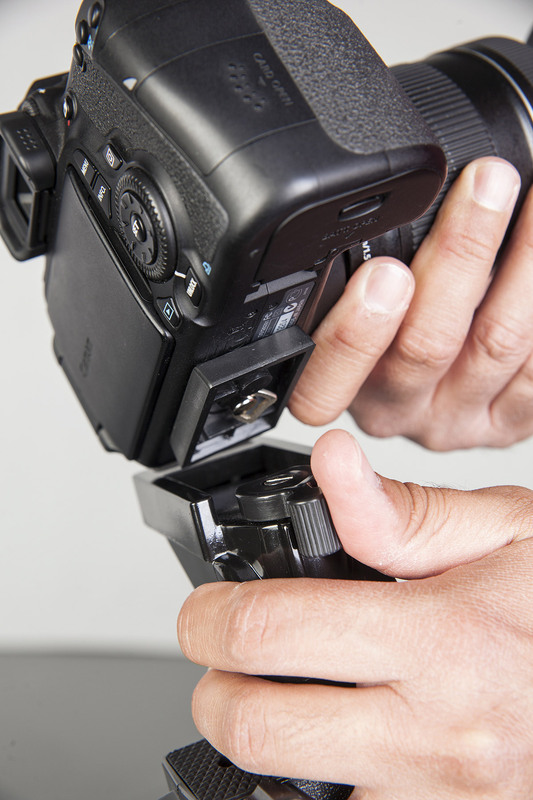 Therefore your arms do not get tired from holding the camera and they are free to operate controls. 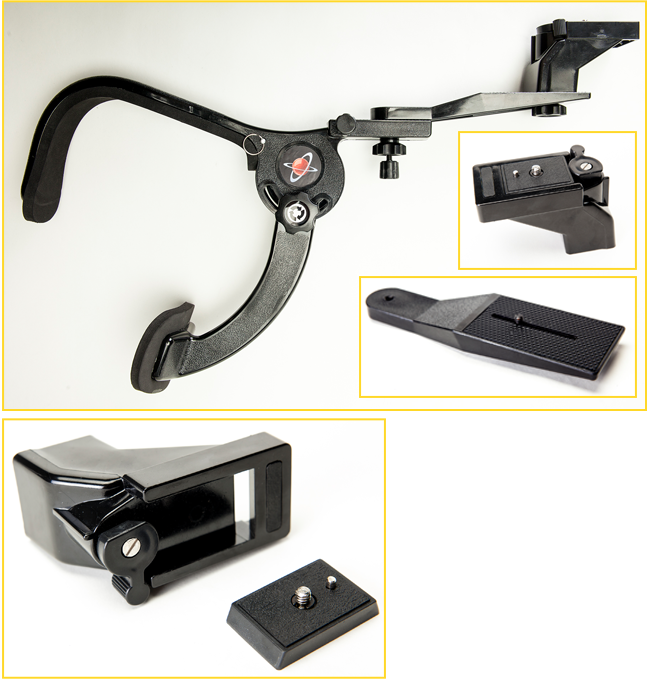 The additional large and small camera mount plate extensions enable you to position a wide variety of cameras so that you can easily use an eyepiece or position a view screen properly. 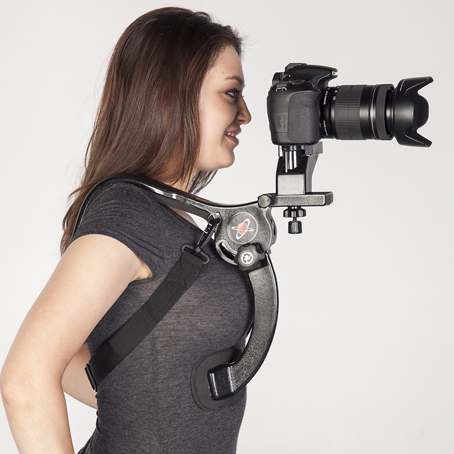 The unit is also very lightweight yet sturdy enough to hold up to 10 pounds of camera and gear. 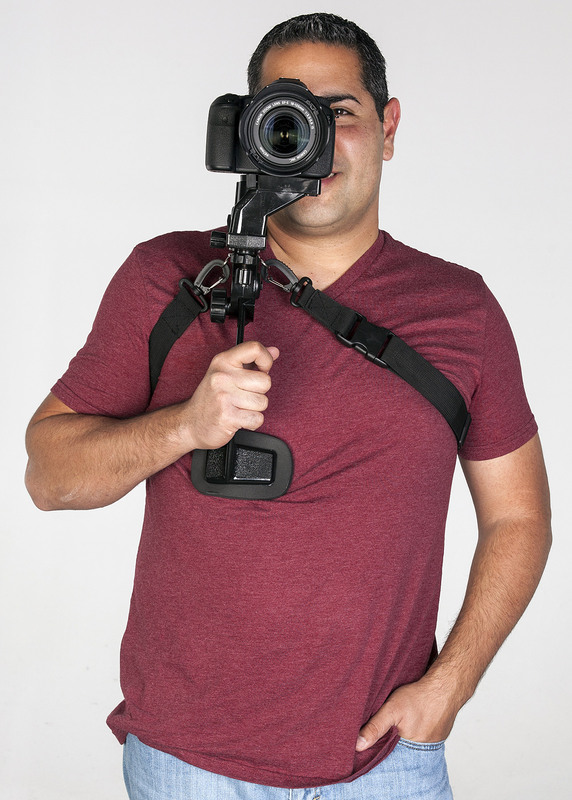 How safe is it to move around and shoot in crowded and busy environments while my expensive camera is attached to the DJ Shoulder Mount Stabilizer? 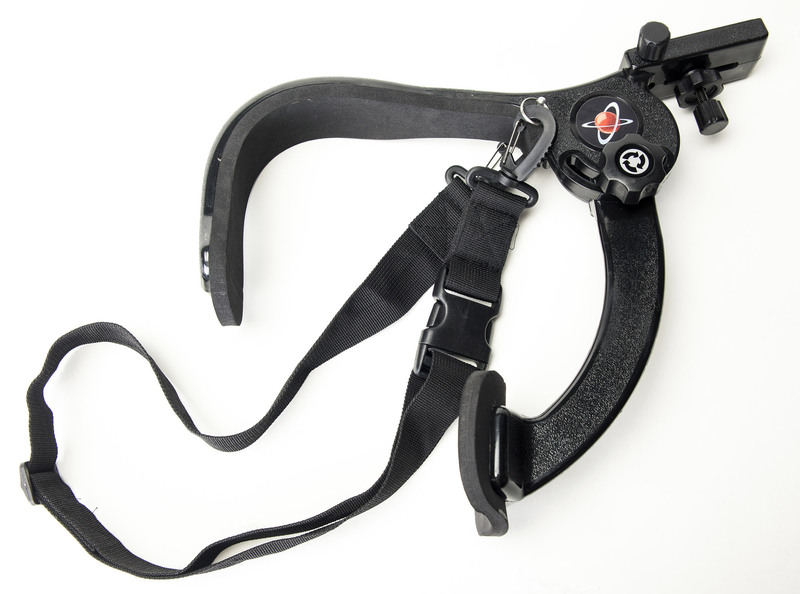 While the stabilizer unit will attach firmly to your body and is difficult to dislodge in most cases, you can have extra assurance that your camera rig will not fall by attaching the provided securing strap to the unit and across your body. 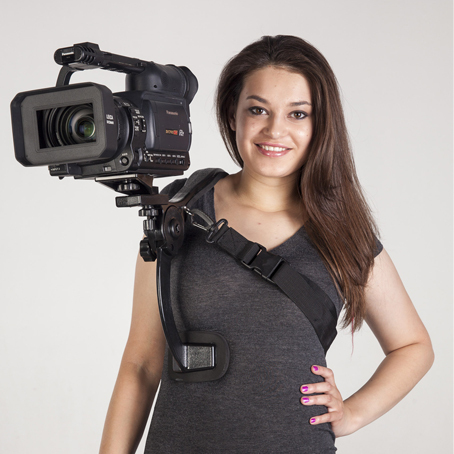 The unit's industry-standard �-20 mounts will accept a wide variety of cameras and accessories. 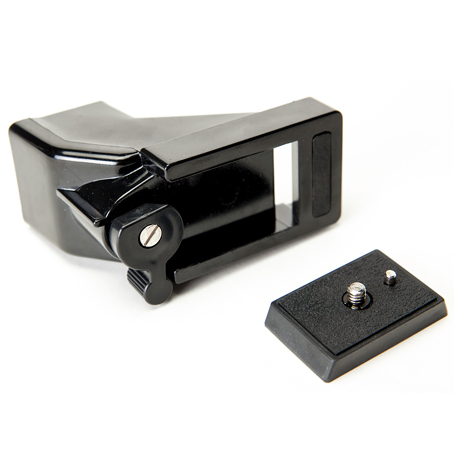 The small mounting plate accessory includes a quick release plate for quick and easy camera placement and removal, while both accessory plates can be adjusted back and forth or angled into the optimal position via easy-grip sliding lock-down screw knobs.